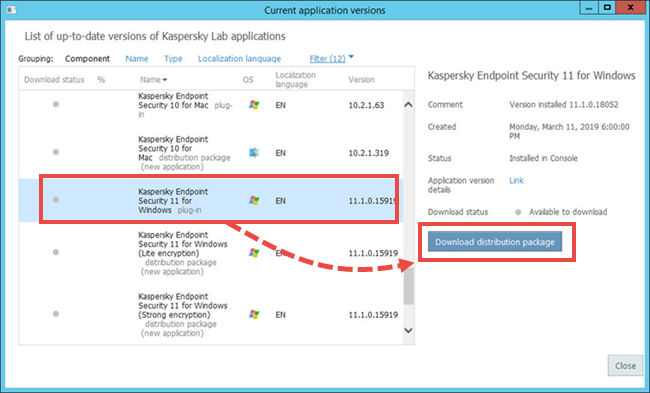 Go to Tasks and open the properties of the Kaspersky Endpoint Security 11.x for Windows policy. Install critical and approved updates. This will allow installing critical updates without approval. Install only approved updates. This will require approval for all updates. Go to Advanced → Application management → Software updates. Click the yellow notification about required updates. Select the plug-in from the list and click Download distribution package. 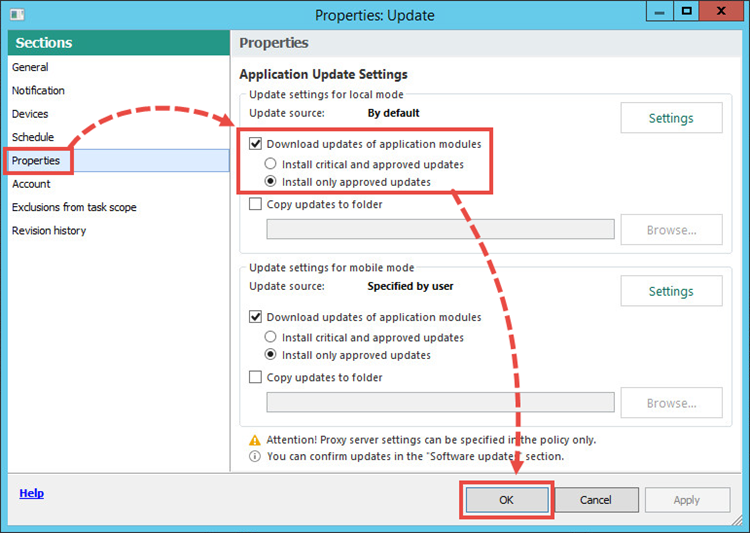 Follow the steps of Installation Wizard to install the plug-in. 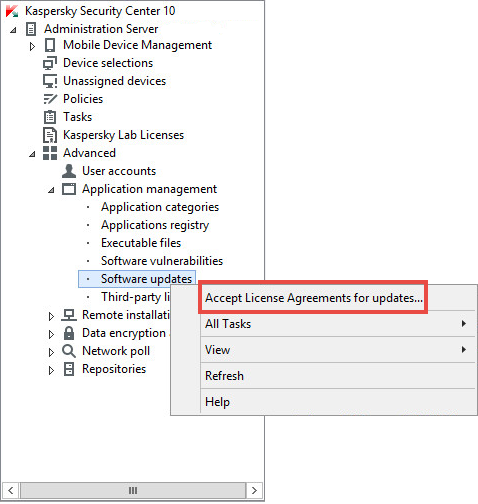 In the Administration console, right-click Software updates and select Accept License Agreements for updates. 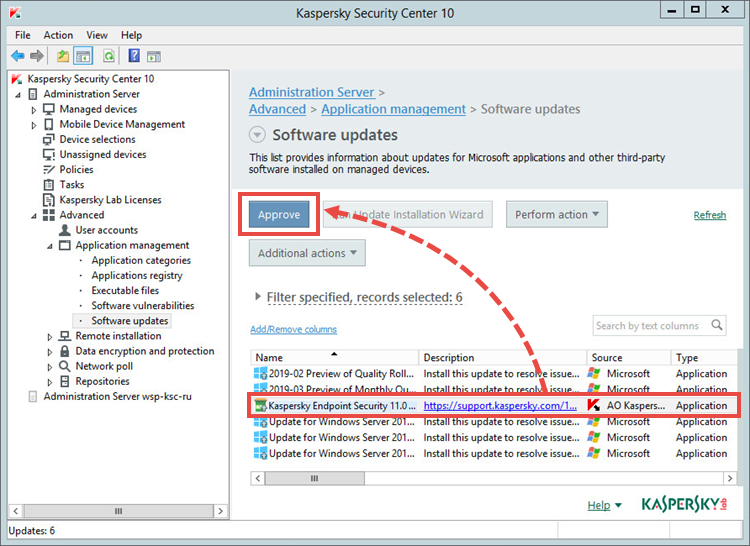 Select the Kaspersky Endpoint Security 11.x for Windows patch and click Approve. The patch will be automatically installed on managed devices. To complete the installation, you may need to restart the managed devices.